• CNC Drill Head Attachment designed for rapid, low-cost cutting of plastics, composites, acrylics and other brittle material. OMAX 80X, with 5-Axix cutting head! 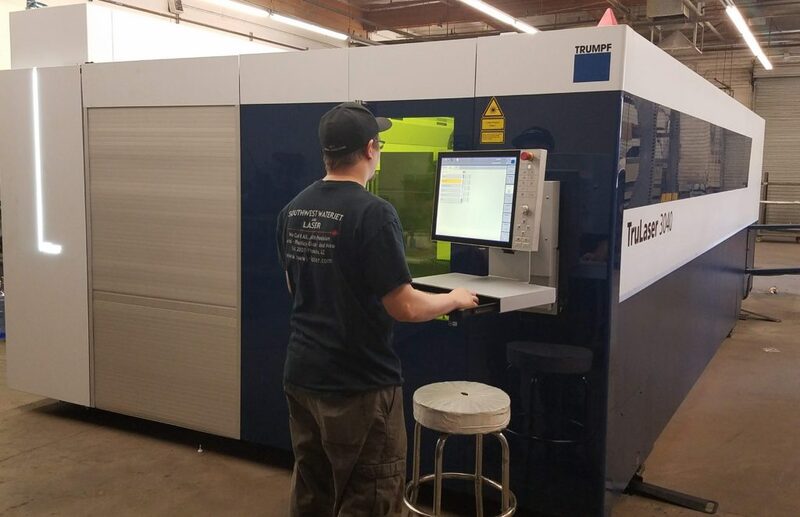 Our Trumpf TruLaser 3030, 4kw CO2 laser is considered to be the one of the best in the industry. With our new laser we can successfully cut .875″ thick Carbon Steel, .375″ thick Stainless Steel and .375″ thick aluminum. 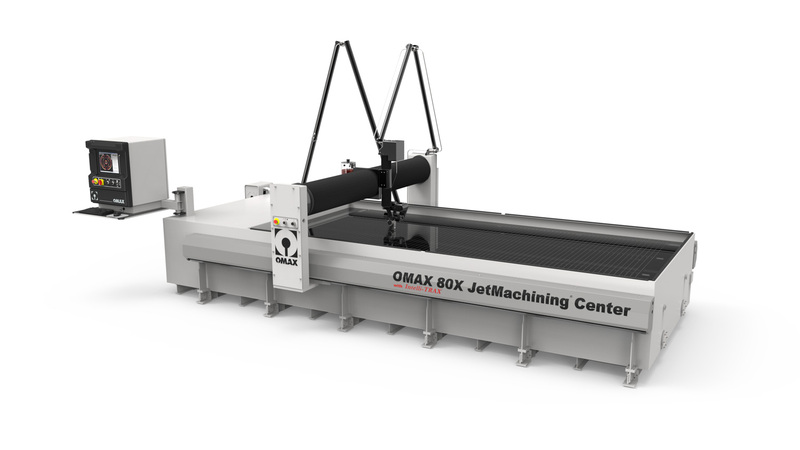 With our OMAX ® abrasive waterjets, we can provide complex cutting of virtually any material. This state-of-the-art technology offers flexibility and fast-turnaround from prototype to production. Get the results you need with technology that’s right for your application. Our Trumpf Laser and our OMAX Waterjets are perfect for virtually any job requiring maximum material yield with minimal waste. Please take a moment to watch these videos about the added technology we have on our equipment.